Virtual Group Fitness is here! Get active in a group environment with our Virtual Group Fitness classes. Virtual Group Fitness enables you to take part in a scheduled classes at a touch of a button through our TV screens. This will increase your class variety and ensure we have classes available to suit your schedule. 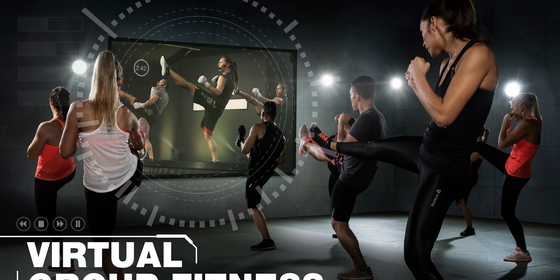 Virtual will consist of our 5 LesMills classes – Body Pump, Body Attack, CxWorx, Body Combat and Body Balance. We look forward to seeing you there and can’t wait to share this experience with you! ** please note – arrive 15 minutes early to ensure you receive a ticket.